The Swiss physician Albrecht von Haller (1708-1777) conducted experiments in organic sensibility and irritability that are landmarks in the development of physiology. Albrecht von Haller was born in Bern on Oct. 16, 1708. He lacked the strength to participate in the more ordinary pursuits of childhood and, under the guidance of a tutor, turned to scholarly activities. Among other things, he studied languages and wrote poetry. At 15 he entered the University of Tübingen to study medicine; he moved to the University of Leiden in 1725 and received a doctorate there in 1727. For the next 2 years Haller studied in London and Paris and at the University of Basel. At Basel he became interested in botany, and studies started there culminated in the publication of a flora of Switzerland in 1742, Enumeratio methodica stirpium Helveticarum. More immediately, his botanical field studies in the Alps inspired him to write Die Alpen, his best-known poem, which was published in his Versuch Schweizerischer Gedichte in 1732. This poem introduced the concept of mountain beauty to the literary world. In 1729 he began medical practice in his native Bern. In 1736 he was appointed professor of anatomy, surgery, and botany at the newly founded University of Göttingen, where he stayed until 1753. At Göttingen, Haller's interest turned to physiology, and in 1747 he authored the first textbook of physiology, Primae lineae physiologiae. His most important work was on the irritability and sensibility of organs. Although both concepts predated Haller, he was the first to demonstrate experimentally that sensibility (the ability to produce sensation) existed only in organs supplied with nerves, while irritability (a reaction to stimuli) was a property of the organ or tissue. His concept of irritability was particularly important in efforts to understand muscle physiology. 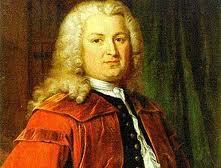 His ideas were published in 1753 in De partibus corporis humani sensibilibus et irritabilibus. In 1753 Haller returned to Bern. He took a position with the Swiss state service and then, from 1758 until 1764, was resident manager of the Bernese saltworks. His detailed, eight-volume compendium of information on physiology, Elementa physiologiae corporis humani, appeared between 1759 and 1766. On Dec. 12, 1777, Haller died. His influence as a teacher and his publications, numbering in the thousands, guided development in physiology for a century. His research method laid the lasting foundations of experimental physiology.